Thursday marks the beginning of the end of the 2013-14 college hockey season. Only four teams remain and they’ll all be in Philadelphia Thursday competing for a spot in Saturday’s national championship game. The two best teams in the East have the early game as Union meets Boston College at 5 p.m. ET, while traditional rivals Minnesota and North Dakota will meet at 8:30 p.m. ET. Both games are on ESPN2. The folks over at USCHO, College Hockey News and various other hockey outlets have a bunch of great preview coverage as well, so be sure to check those out. I wanted to put together some basic preview pieces for the casual college hockey fans out there that are either tracking their favorite team’s NHL prospect or just enjoy the fact that they can watch some college hockey on a basic cable network. Whatever your reason, the Frozen Four is pretty much never dull and one of the great showcases in all of hockey. Coming up after the jump, a quick look at all four teams including why they can win, why they’re vulnerable and five players from each squad to keep a close eye on. The Gophers lost a ton of veteran talent last year, when almost their entire junior class signed pro deals. That lowered expectations for one of the college hockey’s proudest programs coming into the year. That proved to be a mistake. A dynamic freshman class came in and filled the void and goaltender Adam Wilcox showed that his first season between the pipes last year was no fluke by being even better as a sophomore. Minnesota earned the first Big Ten regular-season title, but stumbled against Ohio State in the B1G tournament. The Gophers shook that off with relative ease in the national tournament, however. As the No. 1 overall seed, they easily dispatched Robert Morris 7-3 and took advantage of and completely outplayed a tired-out St. Cloud State with a 4-0 win. Why They Can Win it All: The biggest compliment I think you can pay to Minnesota is that their entire team is involved in every game. This is a squad that doesn’t have a single 40-point man on the team, but there are nine with more than 20. There isn’t any one player you can key on for Minnesota that will stop them offensively. They have good depth of skill throughout their lineup. There is at least one player on every line that can hurt you and the same is true for Minnesota’s defensive pairings as well. Put all of that together and you still need to have a capable goaltender to win. Minnesota has far better than that. Adam Wilcox has been one of the absolute best netminders in the country. His .934 save percentage is second in the nation which is made more impressive by the fact that he played in 91 percent of Minnesota’s games this year, meaning he was playing a lot back-to-backs and excelling. He’s the X-factor that takes Minnesota from good team to great team. What Makes Them Vulnerable: Youth. As good as the freshman class has been this year, and they’ve been fantastic, accounting for a third of the points scored on the team this year, they’re going to see older, stronger teams on an NHL ice surface. Though there’s plenty of solid veterans on the team in Minnesota’s junior class, they need the young guys to be a big factor at the Frozen Four. Minnesota is going to be going up against a tough squad from North Dakota that will definitely look to prey on the younger players and make them uncomfortable. Depending on how the young guys deal with it, it could be a big difference in the outcome. It should be interesting to watch. Adam Wilcox (TBL) — G — One of the best goaltenders in the country, Wilcox has carried a heavy load this year and gives his team a chance to win every night. He’s a calming presence between the pipes and allows Minnesota to open things up offensively at the drop of a hat. As noted above, he posted a .934 save percentage and sparkling 1.89 goals-against average to go along with four shutouts. Kyle Rau (FLA) — C — The junior captain is as competitive as they come and led the Gophers in scoring with 37 points this year. Nothing Rau does jumps out at you, but it’s his attention to detail and willingness to go to any area on the ice that makes him effective. He doesn’t need much space to make something happen. Brady Skjei (NYR) — D — The 2012 first-rounder has taken a big step forward this year as he’s been given more responsibility. Skjei struggled as a freshman, but has become a good top-pairing defenseman. He’s one of the better players in his own end and has simplified his game this year and boosted his production from three points as a freshman to 13 this year, but he’s best known for his D. Skjei is also an elite skater. Mike Reilly (CBJ) — D — One of the most dynamic defensemen in the country, Reilly is a terrific puck-mover and creative presence on the back end. He’s gotten better defensively, but is so deadly with his ability to move the puck and exploit open lanes with his skating. The sophomore rearguard is third on the team with 32 points this year including nine goals. Hudson Fasching (BUF) — RW — Fasching’s rights were traded at this year’s NHL trade deadline from Los Angeles to Buffalo. The Sabres got themselves a heck of a prospect as Fasching is exceeding expectations in his freshman year. The 6-2, 207-pound man-child has 29 points including 13 goals. He’s been a top-line player for Minnesota most of the year and is developing into an impressive power forward who is deadly beneath the faceoff dots. Making their record-tying 24th Frozen Four appearance, Jerry York’s Boston College Eagles have been a force this season. No team has more than the 160 goals BC scored this season, many of which came from their unstoppable top line of Hobey favorite Johnny Gaudreau, Blackhawks first-rounder Kevin Hayes and impressive senior Bill Arnold. Though not together all year, those three players own 47 percent of BC’s goals this year. The Eagles are more than a one-line team, but that trio is as deadly as any in college hockey in a long, long time. BC also has an impressive defense led by Panthers first-rounder Michael Matheson. It’s a young blueline, though with three freshman playing significant minutes including Ian McCoshen, Steven Santini and Scott Savage. All three have been more than up to the task, however. The Eagles also have a freshman between the pipes in Thatcher Demko, the youngest player in college hockey this year. He’s been more than solid for his club despite his inexperience. After falling in the Hockey East tournament to Notre Dame, Boston College started the national tournament with a 6-2 route of Denver before getting all they could handle from UMass-Lowell, eventually pulling out an impressive 4-3 win. Why They Can Win it All: That top line of Gaudreau, Hayes and Arnold can win games by themselves, but the 4-3 win over Lowell included goals from other sources, which was important. This offense is explosive and it all starts with Gaudreau. He’s impossible to shut down, having been held off the score sheet only twice this year (one of those times was by Minnesota). If the Eagles get even a little production from its depth, they’ll be really tough to stop in Philly. With such a difficult-to-contain offense, they are going to put pressure on a lot of teams. Not many teams have a group they can throw out in those late-game situations and expect a goal. Boston College has the best kind of line possible. On top of that though, their biggest strength can be a weakness. If the big line doesn’t get going against Union or an opponent in the championship game, those contests become a lot tougher to win. They can do it, but haven’t had to much in the second half of the season. The good news for BC is that there are few teams that can put a wrench in that line’s production. Johnny Gaudreau (CGY) — LW — What’s left to say that hasn’t already been said? He’s the best player in college hockey, period. He has more goals (35), assists (42) and points (77) than anyone in the country. He’ll win the Hobey Baker going away and has already shone bright on the big stage of the Frozen Four before. He’s a big-game player and he’ll be a factor. Kevin Hayes (CHI) — RW — Vastly overshadowed this season despite the fact that he’s the second leading scorer in the country with 63 points, Hayes has finally put everything together as a senior. He was a goode college player for three years at BC, but this year he has become dominant. Hayes never had more than 28 points in a season prior to this year. He has 27 goals alone. Though Gaudreau will get some credit for Hayes’ points improvement, that undersells what he’s done on his own. His size, speed and skill make him a good player no matter who is on his line. Bill Arnold (CGY) — C — One of the best two-way centers in the country, Arnold has been a factor for the Eagles from the drop of the puck his freshman season. He’s having a career year centering Gaudreau and Hayes with 52 points. He is overshadowed by those two guys, but Arnold does a lot for that line that makes it so effective. He’s immovable on the puck and one of the smartest players at both ends of the ice. Arnold just knows how to play and it makes everyone around him better for it. Michael Matheson (FLA) — D — A solid two-way defender, Matheson gives the Eagles a strong puck-mover on the back end. The Panthers first-round pick has actually seen his numbers dip this year, but he remains an important factor at both ends of the ice. He’s not flawless defensively, but Matheson’s mobility allows him to have some success in his own zone and keep things in front of him. You need good blueliners to let the forwards BC has get up the ice and he does that as well as any the Eagles have. Thatcher Demko (2014 Draft Eligible) — Demko is young only in age. The way he has played this year makes the freshman look like a seasoned veteran. He wasn’t simply handed the reins to the starting gig, he had to earn it. Demko did that by posting a .920 save percentage and 2.16 goals-against average. I was most impressed by Demko in the regional final against Lowell. He gave up three goals, but never looked phased and had to make some key stops along the way. He has to be his best against a very talented Union squad. Winning 30 games is an impressive feat in college hockey, no matter how you slice it. Union has done it in style as well. The Dutchmen have the second highest scoring offense in the country with 148 goals. As a team that can fly in transition and with scorers throughout the lineup, Union is extremely fun to watch. They’re good at preventing goals, too, boasting a goal differential of plus-66 this year, after allowing just 82 goals all year. That’s just a shade over two goals per game. Part of that low total is thanks to Colin Stevens in net with his .932 save percentage, but Union is a team that dominates possession as well. The Dutchmen routinely out-shoot their opponents by an average of five shots per game, which is possible due to their depth at forward and the way their defense engages offensively. Union has two of the best offensive-minded defensemen in the country with Shayne Gostisbehere and Mat Bodie that can control the transition and keep teams on their heels. Union dominated most of its opening-round game against Vermont in the national tournament, earning a convincing 5-2 win. The Dutchmen then got a heck of a game from Providence, but Union’s depth won out as they skated away with a 3-1 victory. Union is the only team in the country that won its conference’s regular-season and postseason championships. They’ll look to add the big trophy next. Why They Can Win it All: Their possession game is the key. If they can control the game by having the puck an awful lot, they should be able to beat anyone. That’s hockey in general. This team is fast and crafty and it all makes them very difficult to defend. If they own possession against Boston College, it won’t let the nation’s best offense get going like it can. They can burn teams in transition, get good sustained pressure by continual movement in the offensive zone and they capitalize on mistakes. When a team manages the puck as well as Union does, it forces other teams to press and that’s when they pounce. Their speed will be tested by Boston College, but they’ve been going as well as anyone in the country of late. What Makes Them Vulnerable: Union hasn’t lost since Jan. 31. A tie to Colgate is the lone blemish on their last 15 games. That gives them a lot of momentum coming into the weekend, but they’re going to get pushed by Boston College. Probably pushed hard. Having not faced much adversity in the postseason, how Union reacts to trying to deal with the nation’s best line is going to be really interesting. I don’t think it would be fair to say Union has had an easy road so far, but they just haven’t seen many teams like BC this year. Being able to push back is going to matter. Shayne Gostisbehere (PHI) — D — The only drafted player on Union’s roster, Gostisbehere is unsurprisingly the club’s best player. Few defensemen can impact the game like he does. Good at both ends of the ice, Gostisbehere has 29 points including eight goals in 40 games. One of the better skaters in the country, he can really open things up with a rush or a good pass. His hockey smarts are a big part of his success. Mat Bodie — D — A potential college UFA teams will go after when Union is done, Bodie is one of the nation’s top-producing defensemen. He has 35 points including 29 assists. Though a bit undersized, Bodie is really shifty and makes a lot of plays. The way he plays, teams have to be aware of him when he’s on the ice because he really can break things open quick. Colin Stevens — G — Union has been a goalie factory of late and Stevens is definitely picking up that torch and running with it. The junior netminder has a .932 save percentage and 1.93 goals-against average. He’s also posted six shutouts this year. Stevens hasn’t allowed more than two goals in any of his last nine appearances. Daniel Carr — LW — The senior forward leads the team with 22 goals and 48 points. The truth is, Carr has been a force in each of his four seasons with the Duchmen, but is having a career year as a senior and should draw NHL interest as soon as his season is over. He has points in his last 10 games, six of which were multi-point efforts. He’s easily Union’s most dangerous forward and will be difficult to shut down. Max Novak — C — Novak is getting hot at the right time with goals in each of his last five games. He was all over the ice last weekend making things happen and scoring timely goals. The junior is effective at both ends of the ice, but his recent goal-scoring touch gives his team good secondary production to take some of the load off of the top unit featuring Carr and the quite skilled Daniel Ciampini. You never really can count out North Dakota, can you? UND barely made the national tournament, but ended up dispatching Wisconsin with a last-minute goal and getting past Ferris State in overtime to make it back to the Frozen Four. There’s something about this team year-in and year-out that challenges you to pick against them. They do just enough to look dangerous, even as the stats or what the standings say may not appear in their favor. North Dakota always brings a mix of toughness and skill that challenges every team they play. After trudging through the first two months with an unimpressive 5-7-2 record, UND really turned it up from December only losing six more times the rest of the season. A loss in the NCHC semifinals nearly cost them the tournament, though. This team is more of a score-by-committee group similar to Minnesota. They have players throughout the lineup that can hurt you. Additionally, they boast one of the nation’s best defensemen in Dillon Simpson and netminder Zane Gothberg has been really solid of late and owns a .926 save percentage this season. They’re going to be a tough out, that’s for sure. Why They Can Win it All: On paper, there is disparity between North Dakota and the other three Frozen Four teams, but that hasn’t stopped them from making it here. You can’t count out this group for a number of reasons. This team is aggressive, which can make a lot of opponents uncomfortable. Like any good North Dakota team, this group will hit, block shots, battle, etc. So, there’s a grit factor. You can’t win on grit alone, though, and North Dakota doesn’t have to. There’s enough speed throughout the lineup, led by the indefatigable Rocco Grimaldi. The defense is engaged at both ends of the ice, making it tough on opposing forwards and having the ability to move the puck in transition, which puts teams on their heels quick. Then you add in the way Gothberg played last weekend and if he brings that game, UND has a chance. What Makes Them Vulnerable: UND had to rely heavily on Gothberg against Ferris State and were out-shot 45-26 in that game. They did just enough to win. That same kind of game could get them killed against Minnesota. North Dakota’s offense has gone in and out all year, which is why it’s hard to know which team will show up Thursday. The fact that it’s a rivalry game on top of a chance to play for the national title matters. They need to be flying from the word go on Thursday or it could be a long night for them. Dillon Simpson (EDM) — D — One of the best two-way defensemen in the country, Simpson is going to play a ton against Minnesota. He makes North Dakota better whenever he is on the ice with his ability to move the puck on top of playing stout, smart defense. He’s one of those guys Dave Hakstol doesn’t have to worry about when he puts him on the ice. With seven goals and 22 points, Simpson can contribute, too. Rocco Grimaldi (FLA) — C — The skilled centerman has been defying critics his entire life. With blinding speed, quick hands and a nasty release, Grimaldi is a threat every time he is on the ice. The redshirt sophomore leads the squad in all major offensive categories with 17 goals, 22 assists and 39 points. He had a hat trick against Wisconsin, though two of those goals were with the net empty, but he’s also been a big-game performer throughout his career. Grimaldi had two goals in the gold-medal game at the 2013 World Junior Championship. Zane Gothberg (BOS) — G — His performance against Ferris State was nothing short of ridiculous. Gothberg made 45 stops, essentially winning the game for North Dakota. He has a .926 save percentage this year and 1.99 goals-against average. He’s been UND’s go-to netminder since the middle of February and seems to be in a pretty good rhythm now. Jordan Schmaltz (STL) — D — The Blues first-round pick has seen his responsibility grow over his sophomore season and has risen to the occasion. With 23 points on the year, he’s shown he can move the puck well and be a factor from the blue line. Mark MacMillan (MTL) — C — A strong two-way center, MacMillan is another one of those guys that lets North Dakota play at a pretty high pace. He’s strong on the puck and can really get moving. He has 26 points, which includes the game-winning goal against Wisconsin in the first round. He’s not the flashiest player out there, but MacMillan has a way of making his presence felt on a lot of shifts. 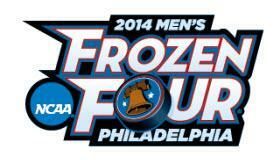 Stay tuned for more Frozen Four coverage coming soon.